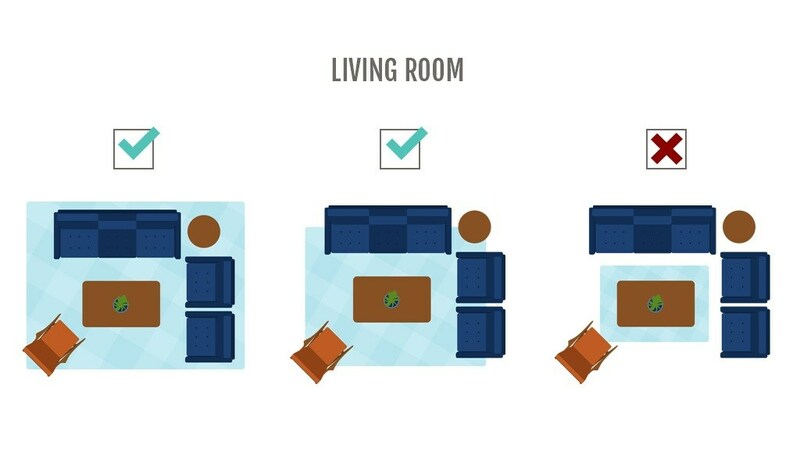 To unify the furniture in the room, get an area rug large enough to place all the furniture on top of the rug. This will draw attention to the center of the room. To show off the rug as a focal point, keep furniture off the rug and instead use it to frame the rug. 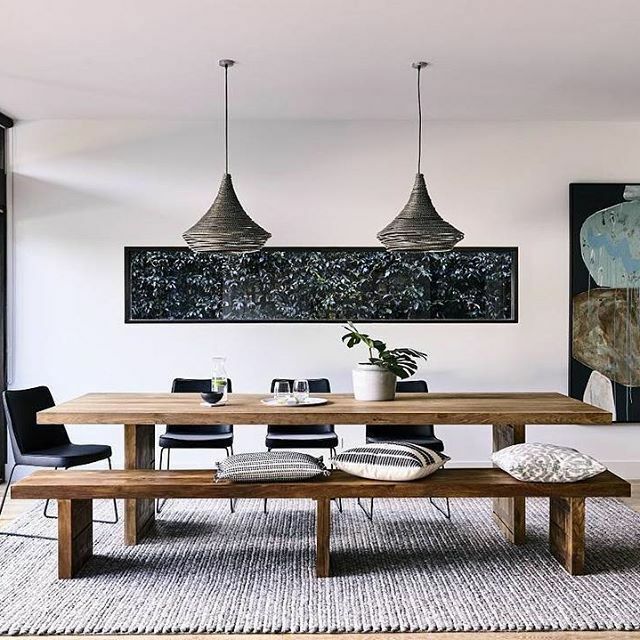 Dining room rugs deaden the sound of scraping chairs and protect the floor from scratching. They should be big enough for the chair legs to sit comfortably on, even when they are pulled out, to minimize the chance of tripping over the edge of the rug. 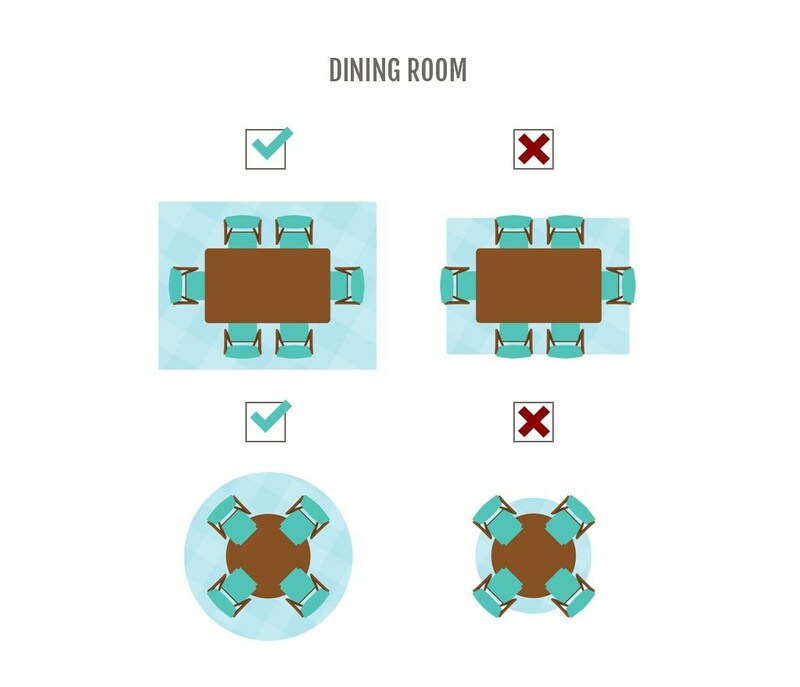 Allow at least 46 –60 cm of extra room on all sides of the dining table so chairs will remain on the rug when pulled out. 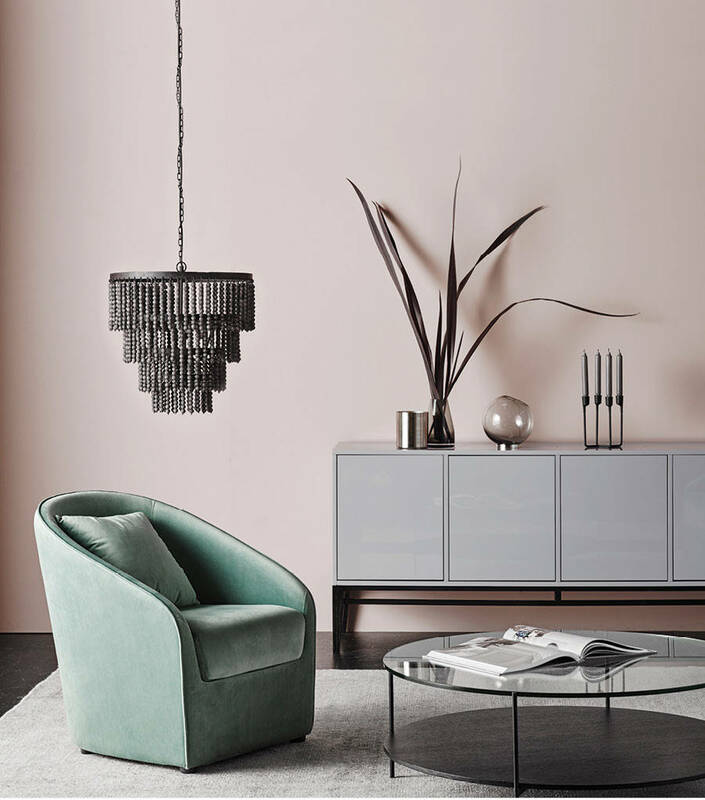 Bedroom rugs are great if you want to warm up or soften hard flooring or if you simply want to add colour and pattern to the space. 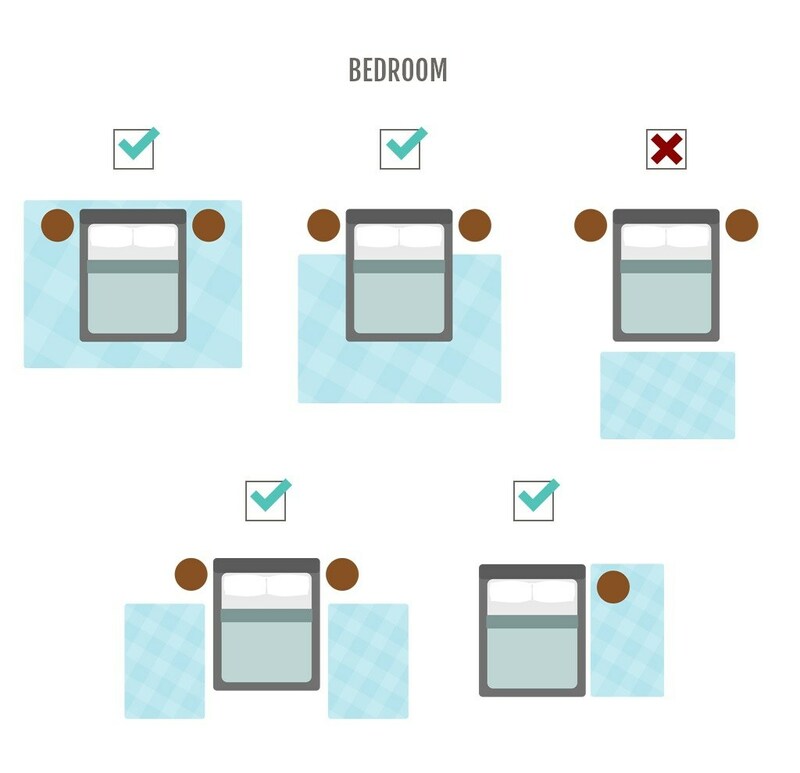 There are two main techniques for rug placement in bedrooms. 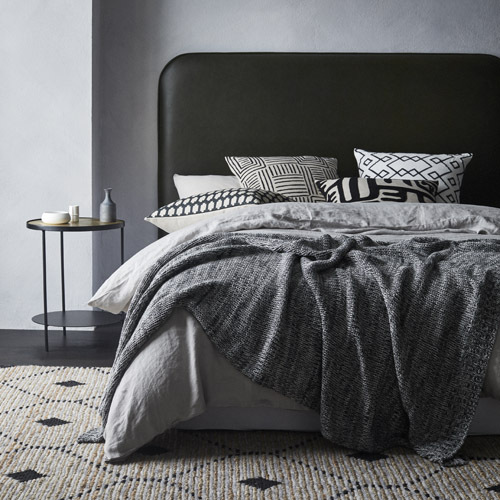 Either use one large rug underneath the entire bed with about 60cm excess on each side, or add one main rug at the end of the bed.